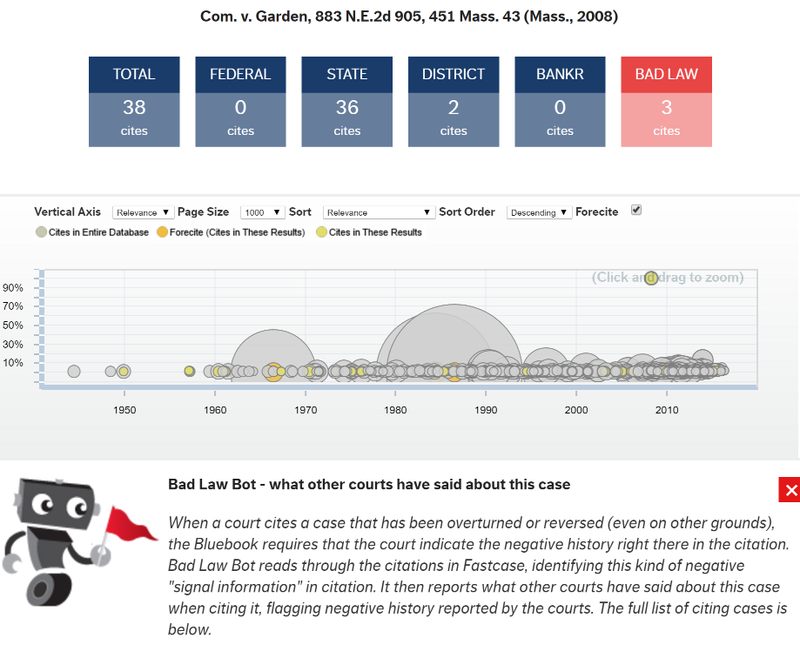 Fastcase Innovations: Bad Law Bot, the negative case history report. Bad Law Bot has been working out and beefing up! Fastcase has worked to expand the reporting details that Bad Law Bot can provide to you. 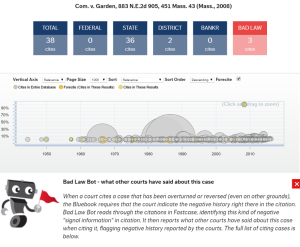 Bad Law Bot’s reporting now includes a full visual history of the case. See analytics about the case citation history, including level of the court. Bad Law Bot still follows the rules of Bluebook citation and highlights all negative case interpretation, skipping the bias of a human editor. The new Bad Law Bot also has an expanded most relevant paragraph view of citing cases, so you can quickly find related cases and tell whether your case is still good law.